Where do you find the most joy from your work? Is it the creation? Is it the entertainment it brings others? I find joy both from both the Creation of my art, and the Entertainment it brings to others. Everything that I create gives me great delight, and I hope to impart some of that enjoyment to others. I find that all forms of Art, be they Music, Literature, Dance, Film, Painting, etc, are some of the highest creations that Mankind can produce. They exemplify our inner feelings and ideals. So when an Artist can produce a work of Art in any of these creative fields, which “speaks” to everyone, I feel that Artist has achieved something special and magical. This is what I aspire to do: to uplift, delight, and fill my audiences with inspiration and the Joy of Life. I hope that my Art will have a universal appeal to many people worldwide, of all ages. Of all the work you have done—what piece of art do you consider to be your finest? I do like most of the work I have produced, in various degrees. It all fulfills certain feelings that I mean to convey. My painting “TITANIA’S FLIGHT” has seemed to become my “trademark” piece that everyone enjoys. So I suppose that would be considered to be my finest. But as I said, I strive to constantly improve and build on my Art. So I will continually endeavor to produce fine artwork in course of my lifetime, to the best of my ability. Are there any younger artists that you enjoy? Who was your favorite partner to work with? Have you got a favorite? I have done an “Inspirational Card Deck” with Frances Munro, for US GAMES SYSTEMS, INC. It includes 44 cards, and is entitled “Inspirational Wisdom from Angels and Fairies”. Frances wrote the text for it, using my artwork. It is scheduled to be released in September of 2015. I enjoy working with Frances very much. 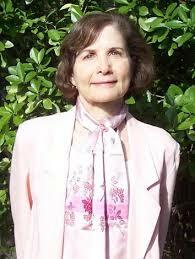 She is a world renowned Spiritual Healer, with the wonderful gift to channel. We have a special connection, and sensitivity to each other, and share many things. We are both very excited to now be working on our second Inspirational card deck for US GAMES SYSTEMS, INC.
Frances Munro’s websites are: http://www.francesmunro.com, and http://www.godworldwide.com Follow her on Twitter: @FrancesBelper; Facebook and LinkedIn. Is there a project past—or present that you wish you could have been part of? I would have loved to have been a part of the amazing group of talented and imaginative Artists who worked with Walt Disney on his early animations, such as the beautiful “SNOW WHITE AND THE SEVEN DWARFS”, “PINOCCHIO”, and “BAMBI”. This era was entitled “The Golden Age of American Illustration”. Walt had invited quite a number of very wonderful artists to help him produce these beloved animations. They were like beautiful classical storybooks which came alive. Gustaf Tenggren, who was an extremely wonderful children’s book illustrator, was one of the fantastic artists that Disney invited to be a part of this inner circle. https://en.m.wikipedia.org/wiki/Gustaf_Tenggren I would have truly been extremely inspired to meet him and the others, and I certainly would have enjoyed tremendously being a part of this fantastic group of Artists to produce these Disney animations. I love everything about their early movies, including the magnificently detailed backgrounds, which were much like classical paintings, the beautiful fluid motion of the wonderful figures, and the delightful music, etc. They had put tremendous love and care into the creation of these early films. For example ~ as part of their research to provide realistic animal motion in “BAMBI”, they even brought in live animals to their studio, so that they could study their movements. If you could only take three things to a desert island—what would those three things be? 1. Art supplies so that I can create my paintings. 2. Art books of my favorite artists, so that I can see their paintings, and read about their lives. Bringing all these things along would give me great Joy and Inspiration. Who are the greatest artistic influencers of all time? I love the Italian Renaissance Artists of course. There are so many amazingly gifted ones, including two of the greatest: Leonardo da Vinci and Botticelli. And two of my favorite artists of later periods are the English Pre-Raphaelite John William Waterhouse, and Maxfield Parrish, one of the “Golden Age of Illustrators”. I love the mystery, grace, fantasy, and captivating beauty of Waterhouse’s lovely women. And the Fantasy, Colors, Nature details of Maxfield Parrish’s paintings, completely enthrall me. When I observe Parrish’s amazing landscapes, with his majestic mountains, celestial clouds, imperial trees, sense of Fairy Tales and Fantasy, and beautiful and imaginative architecture, I am truly inspired with awe. My original website is: http://www.themysticalvisions.com, where you can view my entire art portfolio. My books are available online and can be purchased through Amazon. 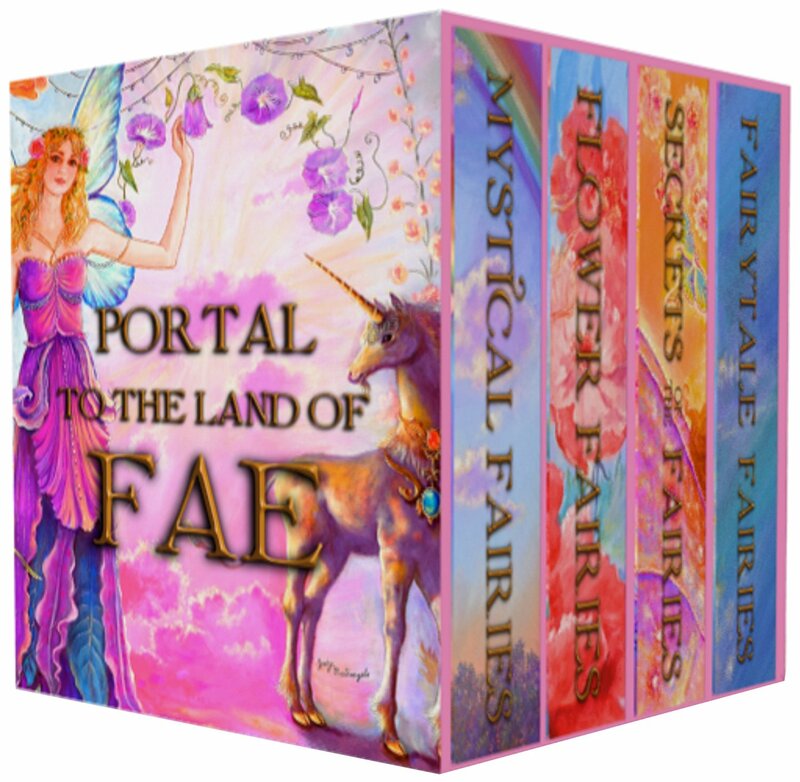 You can also get Judy’s fantastic childrens book box set “Portal to the Land of Fae” on Amazon. This is a must-buy for the inner child in your life. Get your copy now!